Want to take a vacation in space? That journey used to involve intense training, including building a tipi out of birch trees in a cold Russian forest. Going to space is a rare privilege, but it's also a lot of work. Typically, only the world's wealthiest governments had the expertise and deep pockets to pull off trips to space. And those trips went to highly trained astronauts in peak physical form. Roughly 500 people have had the chance to gaze at Earth from miles above it. 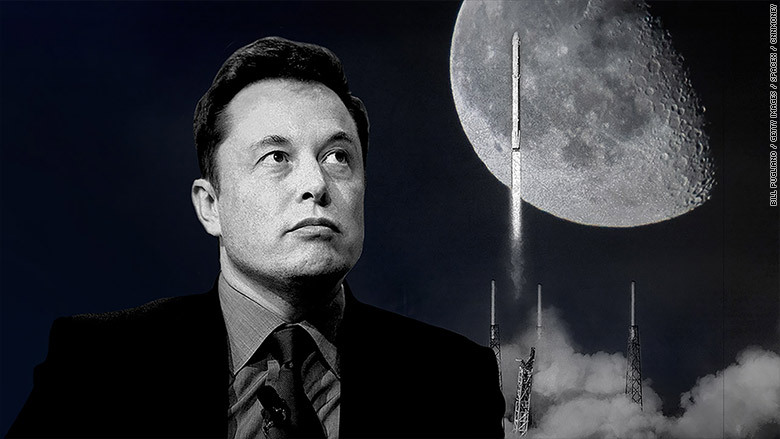 But now SpaceX, a 14-year-old company, made a bold, historic announcement Monday, revealing plans to fly two average Joes around the moon in 2018. Space vacations are becoming a business, like buying a ticket on an African safari. "The tourists have established a new low standard for flying in space," said Charles Simonyi, who traveled to the International Space Station with Russian cosmonauts in 2007 as a tourist. The rank and file of humanity have indeed gone to space before. A handful of non-astronauts cut deals with Russia to make such a trip. And a teacher rode on the ill-fated Challenger in 1986. But no space tourist has ever gone as far as SpaceX is planning. It will be the first time any human has been past low earth orbit -- which is essentially the threshold of space -- since the final Apollo mission in 1972. 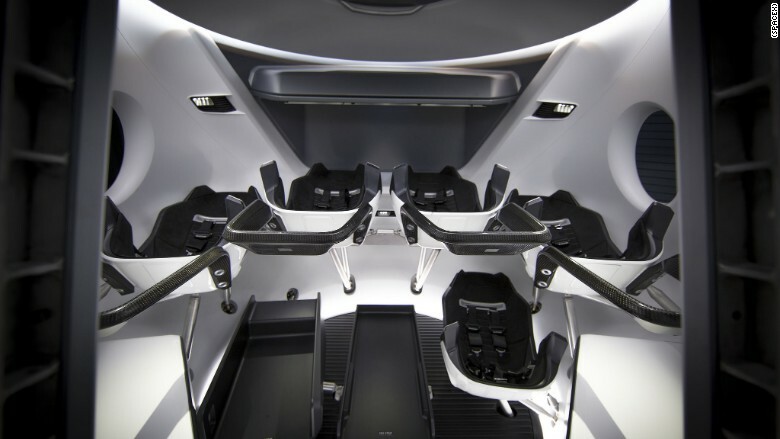 SpaceX's tourists will travel in Crew Dragon, which can carry up to seven travelers. The SpaceX customers will start training later this year and must complete health and fitness tests. 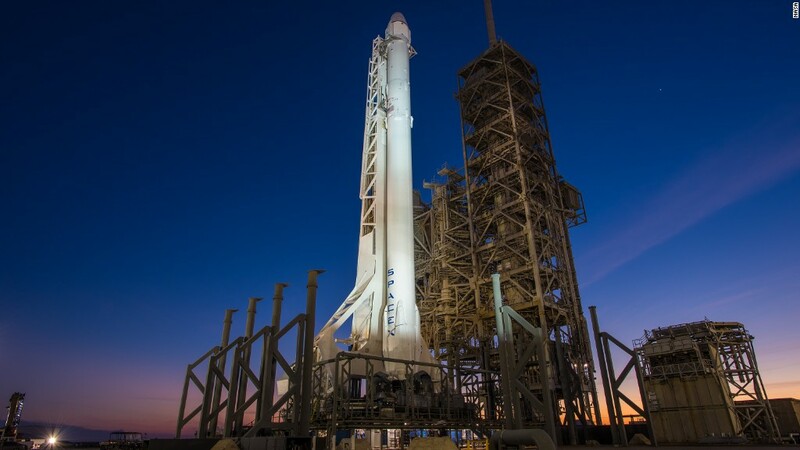 SpaceX hasn't revealed exactly what they'll go through, but it will likely be demanding. Several space tourists recounted to CNNTech the months of training they went through to make their journeys. Dennis Tito, the first space tourist, described his 2001 journey as eight days of solid euphoria -- the best of his life. He thinks about the trip every day. But before he could get to space, there were eight months of training. Nearly all of it was spent in Russia. Tito, who is American, missed his family. The food was terrible. In one memorable experience, the Russians trained Tito to use an unusual weapon that resembled a sawed-off shotgun. It could fire flares, shotgun shells and rifle bullets. Tito, who says he's no marksman, did his best to fire accurately during target practice. The weapon's handle -- a leather covering -- could be removed to reveal a machete. The thinking was that if Tito's capsule returned to Earth in an unexpected location, he might need to defend himself. Tito said some of the most valuable training he did was in experiencing G forces, sudden accelerations that stress our bodies. He believes it's essential for space tourists to spend time spinning in a centrifuge. Tito's landing on Earth didn't go as planned, and he experienced far more G forces than planned. The training got him through it. Before his 2007 trip, Simonyi first spent two days alone in a forest near Moscow as part of his training. He was technically only a few hundreds yards from a motel, where a ground crew and psychologist slept comfortably. Meanwhile, Simonyi cut down trees to make a tipi, and used the spacecraft's 10,000-square-foot parachute as a shell-like covering. He survived on food and water from a survival kit. In his toughest training experience, Simonyi had to practice taking off his spacesuit in the cramped capsule he'd return to Earth in. He compared the experience to sitting with two friends in the front of a VW bug. But everyone is wearing a bulky space suit. And everyone needs to change into their water survival gear. "It's wall-to-wall people," Simonyi told CNNTech. So Simonyi learned the exact order needed to take off a space suit effectively. Simonyi also spent days in a full-size mock-up of the International Space Station. There were simulations of the station catching fire or depressurizing. He learned how to handle each alongside the cosmonauts. It's unclear if the SpaceX tourists will be traveling alone, or with professional astronauts, as previous space tourists have. SpaceX's Falcon 9 rocket and Dragon spacecraft wait for liftoff at Launch Complex 39A at NASA's Kennedy Space Center in Florida. Space travel requires toughness, smarts and a detail-oriented nature. "Every single theorized or experienced malfunction that has ever taken place in the history of space flight, you will review [in training]," said Richard Garriott, who visited the International Space Station as a tourist in 2008. He compared getting ready for a space journey to getting a SCUBA license. Space tourists need to master the ins and outs of their vessel, whether that's stowing supplies, preparing a meal or dealing with the waste receptacles. "You need to be fascinated with life support, you need to be fascinated with radios," Garriott told CNN. "You need to be fascinated with all the other bits of operational detail." The very first astronauts were akin to adventurers on Columbus' journey to the New World. Their trips were demanding, dangerous and required an obsession with survival. Nowadays, retracing Columbus' journey is easy. One needs to only be in middling health to crisscross the oceans. We aren't there yet with space flight. SpaceX's tourists are taking a risky trip. But SpaceX does appear to be lightening the workload for its space travelers. The capsule they'll fly in is fully autonomous, according to SpaceX. The rocket that propels them to space will likely return to Earth, landing upright, ready to be reused on a future journey. The trip is a landmark step toward hassle-free, safe and affordable space travel for all of humanity. Much work remains, but we're probably done with cutting down birch trees.